Inspite - or perhaps because - of its "difficult" birth, Common Business Oriented Language (COBOL) has become a survivor in the world of computing. That's caused problems when it comes to maintaining systems running the language. COBOL has now taken center stage in the rumbling controversy over the State of California's budget. California is $15bn in debt and been without an approved budget for more than a month thanks to deadlock between legislators in the state parliament. Enter COBOL. 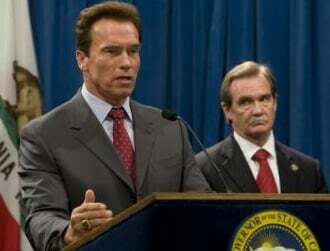 State controller John Chiang has said it would take six months to re-configure California's aging COBOL-based payroll system in order to cut the salaries of California's 200,000 state employees, under an order from Governor Arnold Schwarzenegger to try and rein in the deficit. Chiang has reportedly refused to issue reduced pay checks on the grounds the system cannot be changed quickly enough. Ironically, the only ones who can make the changes - part time retired COBOL programmers - were among 10,000 employees laid off as part of the cuts. The irony is this drama is being played out in a state that's home to the brains and expertise driving Silicon Valley, where the focus is the future not the past of things like COBOL. It is not the first time that the importance of COBOL has been underestimated. Leading up to the year 2000 (Y2K) changes, vast armies of ancient programmers were brought out of retirement to upgrade COBOL code, which had only a two-digit field for the year. Some 180 billion lines of COBOL code are reckoned to run the world's businesses and a further five billion lines are added every year. Demand for COBOL skills clearly continues. The imminent retirement of many more first-generation COBOL programmers, though, could soon mean that California will not be the only place where there is a critical skills gap. Unfortunately for those in need of COBOL skills, the excitement for a new generation of programmers lies not in maintaining legacy systems - although there can be money in it. Neither, meanwhile, is the focus of start-ups in Silicon Valley on legacy: it's on building new products and services using latest languages and architectures. Therefore, places like California end up over a barrel: they are caught between the need for a short-term fix and paying somebody to deliver a long-term solution. Bill Snyder notes, IBM offered to re-write another California system for $30m. Where's the in-house IT team when you need it? The IT skills shortage is nothing new. COBOL, though, has its own unique challenges. Since it emerged in the late 1950s as a way to write programs in something resembling natural language, COBOL has consistently been branded "dead". It was nearly stillborn. When members of the Codasyl committee - the now defunct organization responsible for devising programming language standards - dragged its heels over approval, one of COBOL's supporters sent them a child's tombstone in protest. Based largely on the work of Bob Bemer, who coined the name, and Admiral Grace Hopper, COBOL quickly became the language of choice for commercial applications development during the 1960s. It was strongly backed by IBM and, grudgingly, other manufacturers to the point where it was almost impossible to sell a machine without a COBOL compiler. The language was not without its critics and in 1975 award-winning languages expert Edsger Dijkstra famously described it is as a "disease" and noted: "The use of COBOL cripples the mind; its teaching should, therefore, be regarded as a criminal offence."